We collect personally identifiable information, like names, postal addresses, email addresses, etc., when voluntarily submitted by our visitors. The information you provide is used to fulfill your specific request, i.e., ticket purchase. This information is only used to fulfill your specific request, unless you give us permission to use it in another manner, for example to add you to our mailing list. The term COUTURE FASHION WEEK / USA INTERNATIONAL FASHION SHOWS or “us” or “we” refers to the owner of the website. The term “you” refers to the user or viewer of our website. d) This website contains material which is owned by or licensed to us. This material includes, but is not limited to, the design, layout, look, appearance, photographs, videos, logos and graphics. Reproduction is prohibited other than in accordance with the copyright notice, which forms part of these terms and conditions. e) All trademarks reproduced in this website which are not our property, licensed to us or permitted for us to use are acknowledged on the website. g) This website includes links to other websites. These links are provided for your convenience to provide further information. They do not signify that we endorse the website(s). We have no responsibility for the content of the linked website(s). h) We reserve the right to prohibit you from posting a link to this website from another website or document. i) Your use of this website and any dispute arising out of such use of the website is subject to the laws of the United States. The information contained in this website is for general information purposes only. The information is provided by COUTURE FASHION WEEK / USA INTERNATIONAL FASHION SHOWS and while we strive to keep the information up to date and correct, we make no representations or warranties of any kind, express or implied, about the completeness, accuracy, reliability, suitability or availability with respect to the website or the information, products, services, or related graphics contained on the website for any purpose. Any reliance you place on such information is therefore strictly at your own risk. Through this website you are able to link to other websites which are not under the control of COUTURE FASHION WEEK / USA INTERNATIONAL FASHION SHOWS. We have no control over the nature, content and availability of those sites. The inclusion of any links does not necessarily imply a recommendation or endorse the views expressed within them. Every effort is made to keep the website up and running smoothly. However, COUTURE FASHION WEEK / USA INTERNATIONAL FASHION SHOWS takes no responsibility for, and will not be liable for, the website being temporarily unavailable due to technical issues beyond our control. 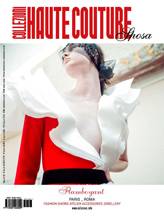 This website and its content is copyright of Andres Aquino, COUTURE FASHION WEEK / USA INTERNATIONAL FASHION SHOWS – © Andres Aquino, COUTURE FASHION WEEK / USA INTERNATIONAL FASHION SHOWS. All rights reserved. b) you may copy the content to individual third parties for their personal use, but only if you acknowledge the website as the source of the material. We use www.PayPal.com to process the sales of products and services through our website, For more information on how www.PayPal.com safeguards transactions please visit their website and click on “Security”.